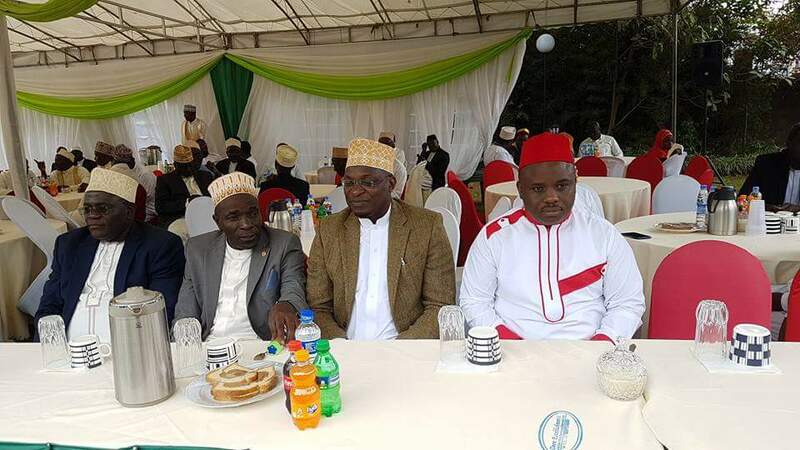 KAMPALA, NTUNGAMO, JINJA, LUWERO, MASAKA, MITYANA, GULU – Muslim leaders across the country on Tuesday used Eid Mubarak celebrations to condemn government for what they described as torture of its citizens, emphasizing that such acts make it unpopular. The remarks come on the backdrop of the detention and alleged torture of MPs Robert Kyagulanyi aka Bobi Wine (Kyadondo East) and Francis Zaake (Mityana Municipality) by security agencies following the August 13 chaos in Arua that claimed one life. The President has, however, insisted that Bobi Wine was not tortured and that Zaake escaped from police custody. 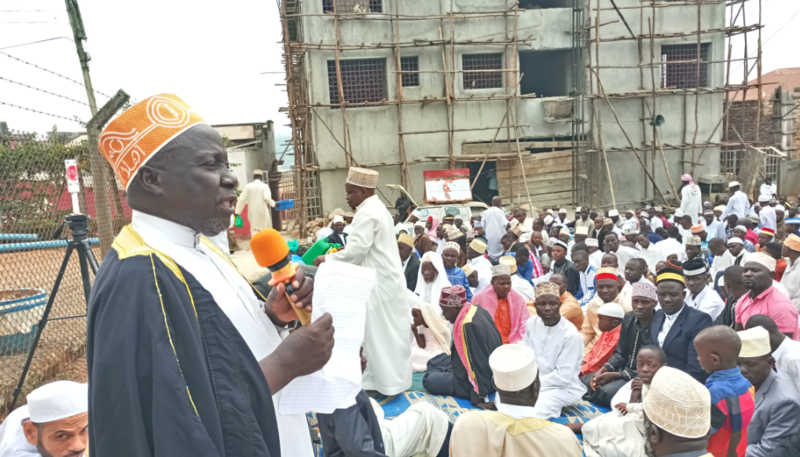 In Mbale, Sheikh Juma Manghalia, who led prayers at Masjid Rautha Mosque, said the government should exercise justice by ensuring that suspects in its custody are treated justly in accordance with the Constitution. “There is no way government is going to rule over dead people; we want all Ugandans alive. The government should bring all those suspects to courts of law as per the Constitution and if they don’t have any case, they should be let them go free instead of keeping them yet they have families to take care of,” he said. In Kigezi region, the district Kadhi for Kabale area, Sheikh Lule Kabu, condemnedthe violence and brutality in the country. “We pray to Allah to prevail over the rampant murder cases where innocent people are being shot in broad day light while others are murdered using machetes. May Allah eliminate such wrong doers from our society so that peace and unity can be witnessed in our country,” he said at Kirigime mosque. In Mbarara, Sheikh Zakiyyu Serunjogi said security operatives should desist from torturing suspects because it is instilling hatred in the hearts of Ugandans against the government. “Those who torture us are making people hate this government. If someone commits an offence should be arrested but not torturing them. Torture is instilling hatred in Ugandans,’’ he said at Abubakar Jamia Masjid Mosque in Mbarara Town. In Ntungamo, the District Qhadi, Sheikh Swaleh Kashangirwe, urged government to release Ntungamo Municipality MP Gerald Karuhanga, saying political tolerance needs to be practised. “The more people you keep in prison even when they have done wrong, the more we start thinking there is political persecution. I think the government needs to realize this and don’t delve into it. 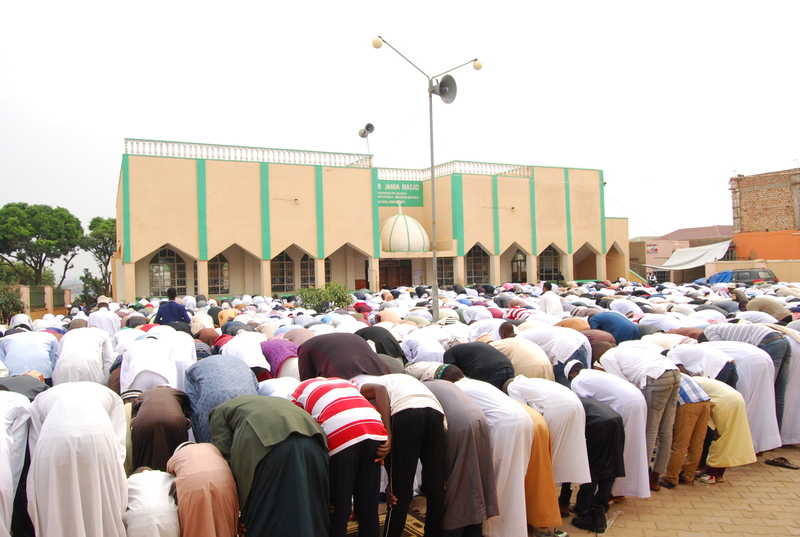 We have enjoyed peace for long and this peace must be seen to exist,” Sheikh Kashangirwe said at Ntungamo district mosque. In Luweero, Sheikh Mustapha Lule Mutyaba, the District Khadi, said the Islamic faith calls for dialogue and gives no room for torture of suspects. “Islam embraces dialogue and has no room for torture of suspects. Our Government should give room for dialogue. We also call for calmness for all political sides,” Mutyaba said at Luweero Muslim District headquarters in Luweero Town. In Masaka, the municipality county sheikh, Twaha Bugembe, called for dialogue to settle the current political stalemate in the country. “The only solution that can benefit both parties should be sitting down by both parties for the good of the country this does not mean that the government has been undermined by conducting peace talks with opposition party leaders,” he said at Masaka main mosque. In Acholi, Sheikh Musa Khelil, the Muslim District Khadi, called on President Museveni to pardon Bobi Wine and opposition legislators who were arrested last week over the Arua Municipality poll violence. “This is the time our government must enter into dialogue, the only way is a pardon from the President. I believe our government is a government that is praised for peace, the president recently got peace award so he must really humbly from the bottom of his heart forgive his children… These are his children,” said Sheikh Khelil at Gulu Main Mosque in Gulu Municipality. In Soroti, the acting Teso district Kadhi, Sheikh Asman Mohamad Ochen asked government to stop making more arrests and shooting political activists who are exercising their rights and freedoms in the fight against bad governance. “This will cause insecurity in the country if government top leaders of authority cannot cease gun fire, arrests and detention of leaders,” he said. In Tororo, the district Kadhi, Sheikh Ibrahim Asante, asked government to strengthen security system in the country and also condemned the ongoing torture and arrests. “Nobody has a right to take away one’s life apart from God, therefore, let’s respect one another and let not use our position to suppress others,” Sheikh Asante, said.